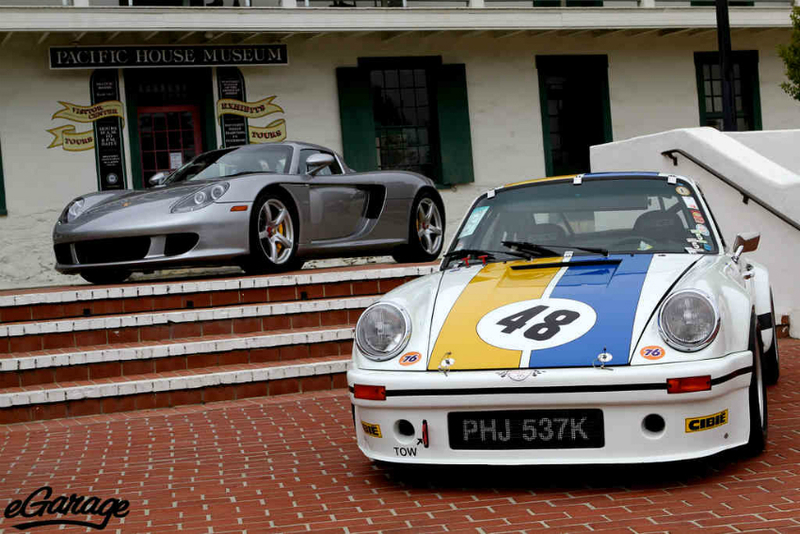 (Monterey, CA) eGarage got a sneak peek into the set-up of 2011 RM auctions Monterey at the Portola Hotel and Spa. 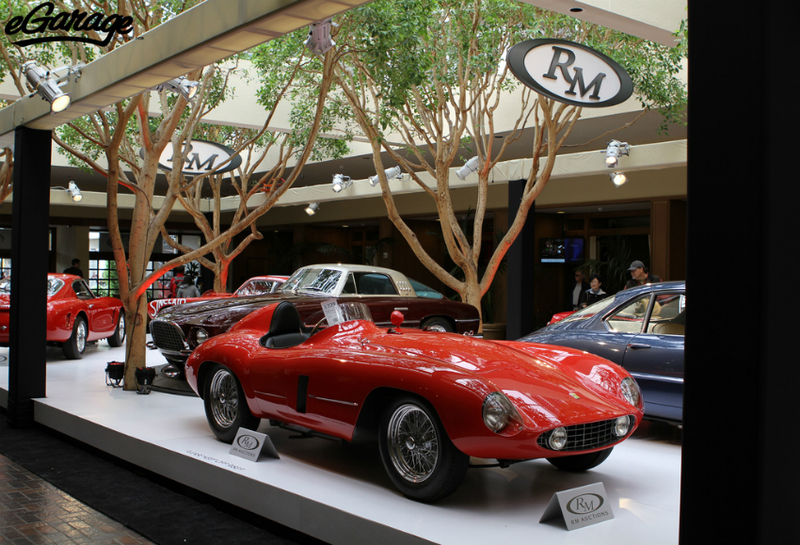 Many people believe this to be the core of the week long events surrounding the Monterey peninsula, additionally RM Auctions is considered one of the finest auction companies in the world. Headlining this years auction were; a 1952 Ferrari 340 Mexico Berlinetta, a 1955 Ferrari 750 Monza Spyder, and a Ferrari 400 SuperAmerica. 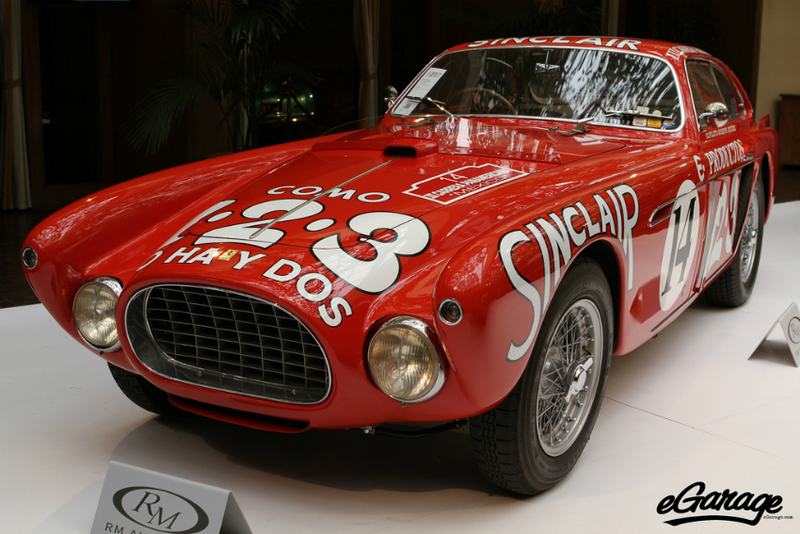 One of three Mexico Berlinettas built for the 1952 Carrera Panamericana competition; the car has been driven by Alberto Ascari, Carroll Shelby, and Jack McAfee. The RM Auctions Catalog tells a magnificent story about this car. This year also marked a record bidder registrations from more than 20 countries, including Argentina, Japan, and United Arab Emirates. (below) One of 35 built, original matching numbers 1955 Ferrari 750 Monza Spyder. This 260 hp 4-cylinder Ferrari was on screen in the movie, On the Beach. It is considered to be one of the finest vintage Ferraris in existence. The Ferrari display was impressive and the courtyard where they showcase the cars prior to auction was equally as impressive. The courtyard hosted 50 or so cars, all of which have stories of their own. 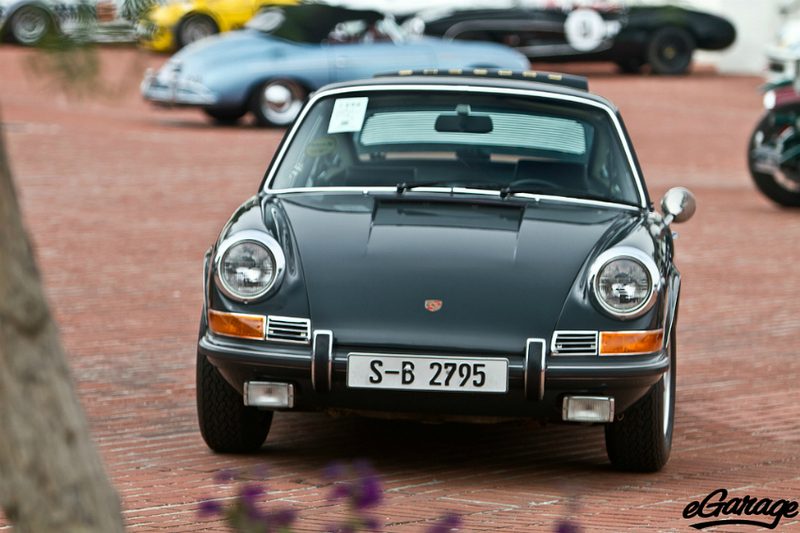 Like the 1970 Porsche 911S Steve McQueen LeMans movie car that sold for north of $1 million dollars. 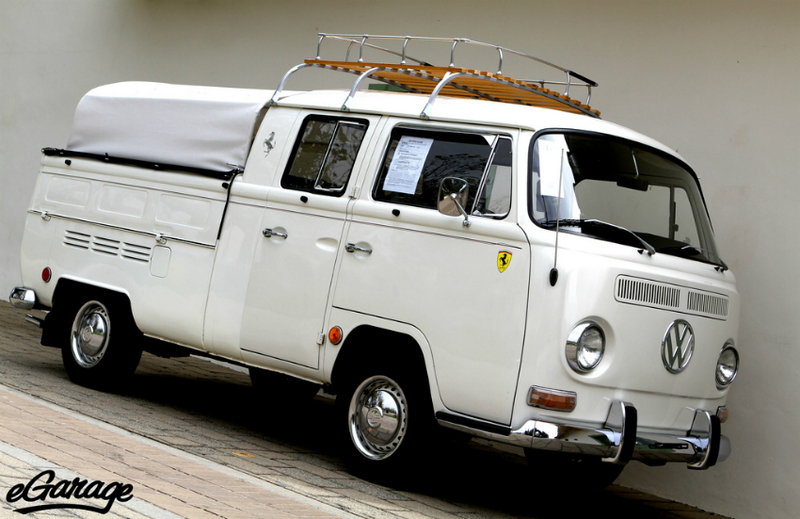 This 1968 Volkswagen Type 2 Double-Cab Pickup Truck sporting the Ferrari shield. 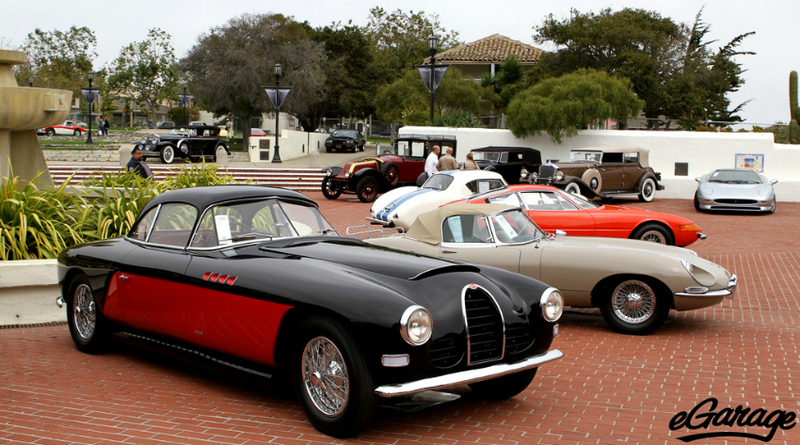 The 1950 Bugatti Type 101 Coupe amongst the other offerings in the courtyard. The unofficial results?? …nearly $80 million in total sales and 85% sales rate. 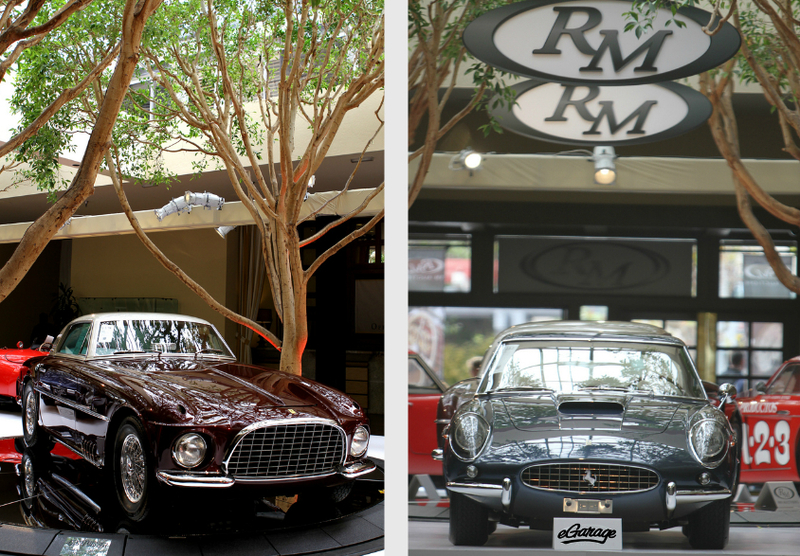 The Saturday night sale marked the conclusion of RM’s biggest ever! 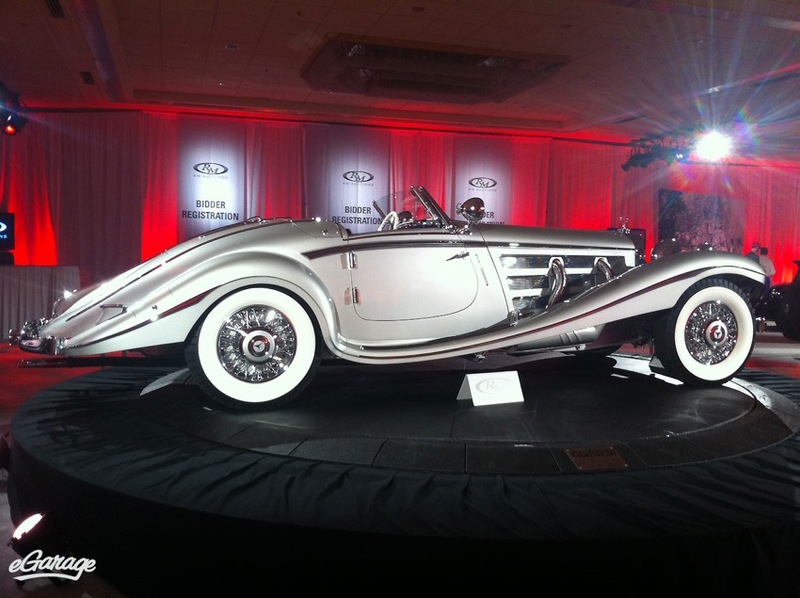 The headline consignment of the 2011 RM Auctions Monterey, was a sensational 1937 Mercedes-Benz 540 K Spezial Roadster, chassis number 154140. This gorgeous example sparked a whirlwind of dizzy bidding in the room and on the phones. Ultimately “going once, going twice…” (insert sound of gavel) selling for $9,680,000 – a new world record for a Mercedes-Benz sold at auction.